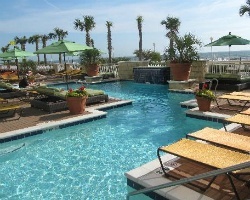 Stunning oceanfront Virginia Beach resort! Annual week 9 usage! Unit will allways have an ocean view! Inquire for more details! *Interval International Premier Resort* Featuring a finely appointed 2 bedroom, 2 bath lockout suite that will accommodate 8 guests comfortably. Usage is annual in week 9. Unit allows for flexibility as it can be split into 2 unit for 2 weeks of usage or 1 big unit for 1 week. For more information or to make an offer, please submit the inquiry form.